West Virginia is located in the incomparable Appalachian Mountains and this is where adventure lovers get to walk on the wild side along the legendary Appalachian Trail. Civil War history buffs revel in hamlets like Harpers Ferry and one of four Carnegie Halls in the world beckons visitors to Lewisburg's cultural scene. Here are the best things to do in West Virginia. Heritage Farm Museum and Village is nestled in West Virginia's Ohio River Valley and is dedicated to allowing visitors to discover the proud history of Appalachia. The village contains more than 15 log buildings, five of which provide unique heritage-inspired tourist accommodations – including a train caboose. Visitors can explore a blacksmith shop, log church, homestead site, petting zoo, and a children's machine discovery zone. Seven award-winning museums will entertain adults and children alike, from the Country Store Museum to the Bowes Doll and Carriage Museum to the Children's Activity Museum. 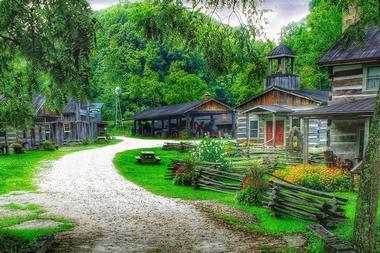 There are also hiking trails, guided tours, artisan crafts, and a gift shop. Guests will enjoy a guided ride provided by veteran miners who describe the traditional mining responsibilities of both past and present. In addition, visitors can tour the original coal camp buildings that are situated throughout the grounds, including the Coal Company House, Pemberton Coal Camp Church, and the Helen Coal Camp School. 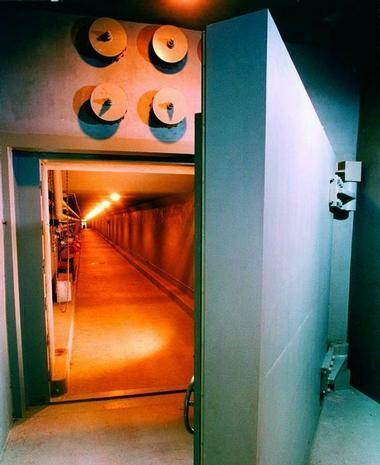 The Greenbrier, America's Resort, has just been declassified, so now registered resort guests and the public can tour the once top secret congressional relocation facility dubbed The Bunker. This hidden emergency fallout shelter from the Cold War era was bored into the mountainside under the West Virginia Wing of The Greenbrier hotel. Daily guided tours depart from the Trellis Lobby and take roughly 90 minutes. History buffs will appreciate the $5 coupons toward the purchase of the book, The History of the Greenbrier, or the DVD, The Greenbrier, America's Resort, The Brief History, distributed at the end of each tour. Children under 10 are not admitted. 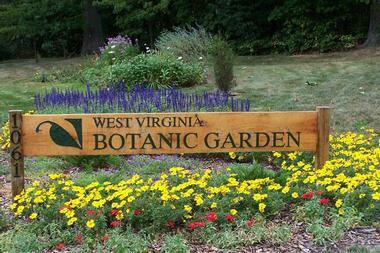 The West Virginia Botanic Garden is a realized dream that began in 2000 on the former 80-acre Tibbs Run Reservoir. These beautifully landscaped gardens were created and shaped for the sheer enjoyment of its visitors. Guests can bask in all its wondrous glory daily from dawn till dusk. There is a rich variety of regional ornamental plants and inspirational landscapes. Workshops and guided walks are offered throughout the year, highlighting the plant life that thrives during each season. Guests can also take one of nine guided tours, each focusing on a specific aspect of the garden, from wildflowers to amphibians. The Lost World Caverns is a magical oasis of stalagmites and stalactites 120 feet below the Earth's surface. 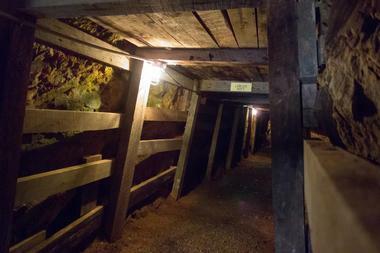 Visitors can take self-guided tours utilizing a cavern guide sheet to explore the half-mile loop at their own pace. While exploring, spelunkers will see several stunning formations, including the Snowy Chandelier, the War Club, and the Bridal Veil – a gorgeous column of shimmering white calcite. Visitors can also meander through the dinosaur museum, which features the remains of a prehistoric cave bear. Thrill-seekers can take the 4-hour guided Wild Cave Tour, which includes crawling, climbing, and getting muddy while traversing the "deepest, darkest, depths of the cave." Visitors will feel as though they've been transported back in history to an era of steam locomotives when visiting Cass, home to Cass Scenic Railroad State Park. This meticulously preserved mountain town features charming company houses repurposed into tourist accommodations, restored buildings housing the museum and company store, and the train depot. During its glory days, the 1901 Cass Scenic Railroad was used in the logging industry, hauling logs from Canada to a lumber mill in Cass. The same steam-driven Shay trains from that period now transport tourists instead of logs. Visitors hopping aboard this excursion will be enthralled by the unparalleled views. 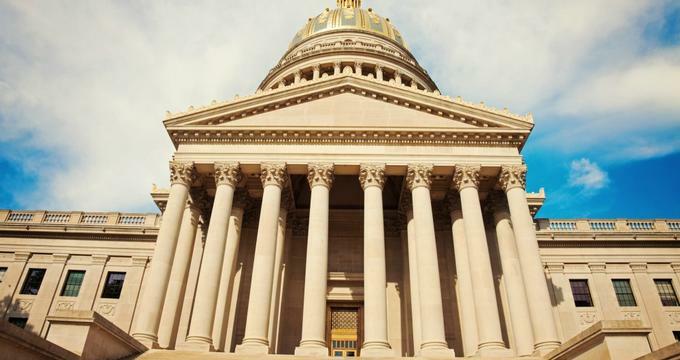 The State Capitol in Charleston, West Virginia, was designed by world-renowned architect Cass Gilbert. This impressive national monument features the highest state capitol dome in the nation as well as several elegant interior details such as a grand crystal chandelier and marble walls, which add to its majestic look. The Capitol faces the river and has a commanding statue of Abraham Lincoln in one corner of the front lawn. Guests are encouraged to take a grounds map from the welcome center for self-guided tours or sign up for a free hour-long guided tour of the Capitol complex and its impeccably manicured grounds. Inspired by the limoncello – the national drink of Italy – Tom Kiefer and Linda Losey founded the Bloomery Plantation Distillery in Charles Town, West Virginia. Guests can visit this farm any time of year to enjoy ingenious cocktails and cordials in an inviting atmosphere with attentive staff. Artisan cordials are handcrafted with lemons and raspberries from their onsite farm and served up in a refurbished 1840s log cabin tasting room. This one-of-a-kind distillery has won more than 20 international accolades, including a Good Food Award for socially conscious entrepreneurs. They've created some of the best "shines" around, with popular flavors like chocolate, peach, and raspberry-lemon. The visitors center for the Appalachian Trail in Harpers Ferry is considered the theoretical midway point of the trail, which stretches from Georgia to Maine. 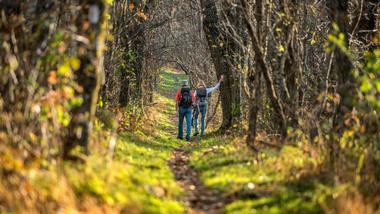 Each year, more than three million visitors hike the Appalachian Trail, which crosses fourteen states and encompasses over 2,100 miles of hiking trails. The Appalachian Trail Conservancy Headquarters is perhaps the most famous landmark along the way and features a 10-foot 3D map of the East Coast. Visitors will also enjoy browsing through informative exhibits, a collection of over 25,000 photographs, which have been accumulating since 1979, and a popular gift shop. The Blennerhassett Island Historical Park is open seasonally and includes a museum, mansion, and island. Guests should start their trip at the Blennerhassett Museum, where they will get an orientation of all there is to see and do as well as watch a video explaining the lives of the Blennerhassetts. After the video, visitors partake in a free 3-floor tour of some fascinating historical and archaeological exhibits. Guests can then purchase sternwheeler tickets to Blennerhasset Island, where they can take a tour of Blennerhasset Mansion, ride a horse-drawn carriage, rent bikes, take a nature walk, or enjoy a relaxing picnic. 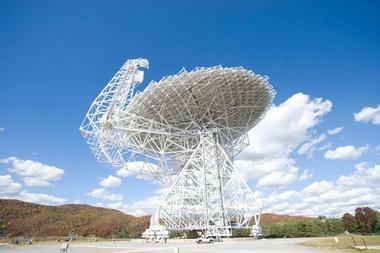 The National Radio Astronomy Observatory (NRAO) was founded in 1956; they design and operate "the world's most versatile radio telescopes," including the world's largest moving telescope. Their state-of-the-art telescopes are reserved for working astronomers and qualified scientists, but they also provide tours to the general public and offer both formal and informal educational programs. Guests can tour the 25,000-square-foot facility, including the Catching the Wave Exhibit Hall, view videos in the auditorium, dine at the café, and meander through the gift shop. Visitors can also participate in StarLab planetarium sessions, take a guided bus tour of the telescopes, and engage in a variety of hands-on activities. 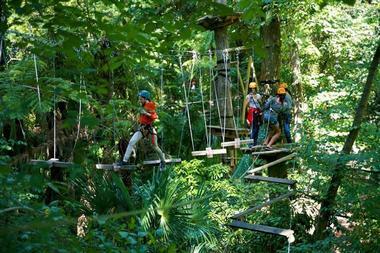 Grand Vue Park is a 650-acre outdoor haven that provides adventurous travelers with a menu of outdoor activities. Thrill-seekers are in for a treat with their Zipline Canopy Tour, featuring eight dual ziplines and three suspension bridges as well as a high-flying zipline 2,100 feet above the ground that whips through the trees to offer astounding views of downtown Moundsville. The Aerial Adventure Park features a 40-foot rope course with rappelling and freefall drop zones, bungee trampolines, and a 28-foot rock wall. Guests can also hike or bike 12 miles of nature trails, play disk golf, hang out at the pool and splashground, and play paintball, among other activities. The West Virginia State Museum, located in the Cultural Center in downtown Charleston, is free and open to the public. A substantial number of collections have been accumulating since 1890 and give guests an unparalleled dive into West Virginia history, archaeology, paleontology, culture, art, and geology. The museum's rotating exhibits from their permanent collections represent the people, industries, land, and geography of West Virginia, and showcase the diverse culture and history of the area. Visiting and juried exhibitions are often available too. Tours of the museum are self-guided, but a museum map is provided. The museum is closed Sundays and Mondays. Mountain Rail Adventures offers a variety of locomotive adventures departing from one of three locations: Elkins, Durbin, or Cass, West Virginia, from April through December. 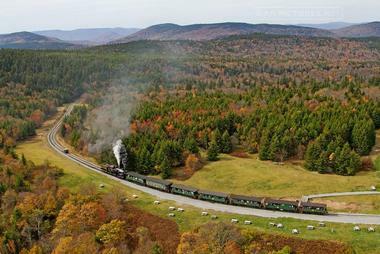 Depending on which excursion guests choose, they will board either a steam-driven locomotive or a vintage diesel-powered passenger train, both of which travel through some of the most remote mountain areas of West Virginia. Guests also have the option of overnight excursions such as the Castaway Caboose. Shorter trips like the Mountain Explorer Dinner Train provide a culinary experience within lush forests that showcase a kaleidoscope of stunning colors as well as sparkling streams, rivers, and waterfalls. 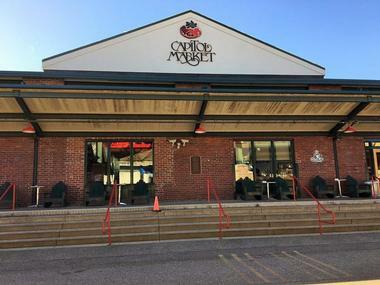 The Charleston Capitol Market was created in 1997 using the architectural bones of the Kanawha and Michigan Railroad railyard from the 1800s. The old transfer dock now serves as a year-round outdoor market and lays out an assortment of indoor shops featuring books, wine, fresh fish, produce, meat, chocolates, flowers, and a coffee bar. Guests will also find places to dine before, during, or after they shop in this popular market, including Soho's Italian Restaurant and Sushi Garden. There is also an array of festive seasonal happenings throughout the year, including spring garden planning, pumpkin patch picking, and Christmas tree shopping. No trip to Point Pleasant, West Virginia, is complete without a visit to the Mothman Museum, which is dedicated to preserving the town's unexplained Mothman experience. It's the only museum of its kind in the world where visitors can view local evidence of the Mothman's existence. At the Mothman Museum, guests get the unique chance to research and pore over the facts behind the incidents that took place on November 15, 1966. Visitors will be able to read rare historical documents, including handwritten police reports, inspect newspaper clippings and photographs of the Silver Bridge disaster, and learn more about the characters central to this bizarre story. 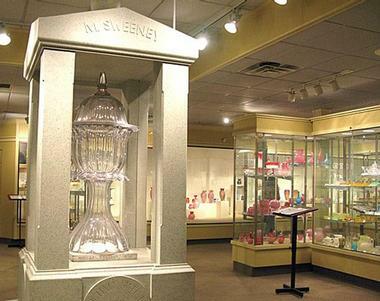 The Oglebay Institute opened the Glass Museum, featuring over 3,000 objects made of Wheeling glass from the years between 1829 and 1939. The museum includes Victorian art glass, pattern and Depression glass, cut lead glass, Peach blow glass, and Northwood's carnival glass, among many others. While walking through the exhibition, visitors will find several statement pieces, such as a world-famous piece of Victorian artistry named the Sweeney Punch Bowl, which stands 5 feet tall and weighs a whopping 225 pounds. In addition, those interested can take part in walk-in workshops, where they'll witness live glasswork and can even join in by making their very own paperweight. 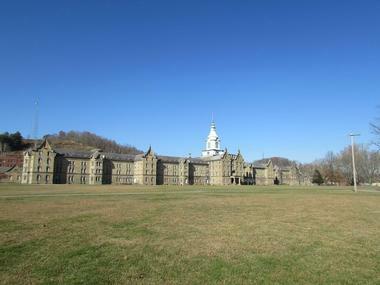 The Trans-Allegheny Lunatic Asylum is a national landmark constructed in the mid-1800s and considered the second largest hand-cut stone masonry building in the world. Originally built as a hospital for the mentally ill, it was equipped to house 250 souls, but in the 1950s it was reported that a whopping 2,400 patients were resident here. The facility was eventually forced to close in 1994 due to the extremely poor conditions created by overcrowding. 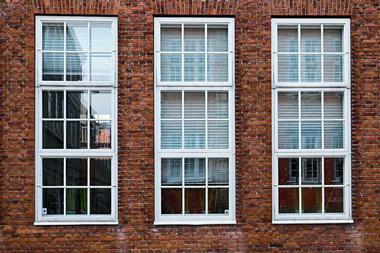 Now, visitors are invited into the asylum to partake in either a heritage or ghost tour. One will enthrall you with rich history and captivating stories, while the other is straight-up spooky. 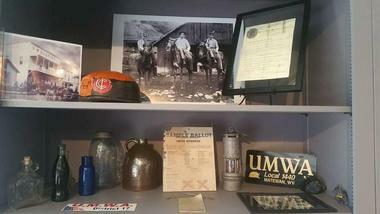 The West Virginia Mine Wars Museum is a unique museum in Matewan that preserves the history of the early 20th-century West Virginia Mine Wars, which brought together coal miners from throughout southern West Virginia to fight for workers' rights between 1900 and 1921. The seasonal museum, which is open to the public between April and October, showcases exhibits and artifacts connected to seminal Mine Wars events, including the Matewan Massacre and the Battle of Blair Mountain, which was the United States' largest insurrection that was not part of the American Civil War. 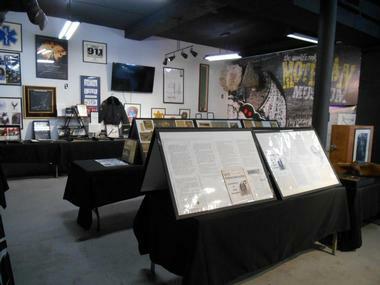 Historic figures such as Mother Jones and Sid Hatfield are profiled, with artifacts on display ranging from mining equipment and photographs to oral histories and mine maps. The Governor's Mansion of West Virginia is a Georgian Revival-style home that was designed by Charleston architect Walter Martens and constructed in 1925. The current governor and first lady warmly welcome visitors into their home to tour the same spaces that have welcomed ambassadors, global dignitaries, and public officials both past and present. Guests can tour several of the historical home's prominent rooms, such as the state dining room, family dining room, ballroom, library, and drawing room, among others. Tour guides provide an in-depth look into the home's history and an explanation of its significant collections on display. The Cranberry Mountain Nature Center offers a wide variety of outdoor and educational activities that visitors will love, but the biggest draw is the live snake show presented every Sunday. At other times guests can view the snakes in nature center displays. There are also picturesque wildflower gardens with 16 varieties of plants attracting hummingbirds, finches, and other birds. Guests can hike two separate interpretive trails and three additional nature trails – the Bruffy Reserve Trail, Pocahontas Trail, and Cowpasture Trail. A few mountain biking opportunities exist, including along the Cowpasture Trail, a 7-mile loop. The center provides guided outdoor experiences all year round. 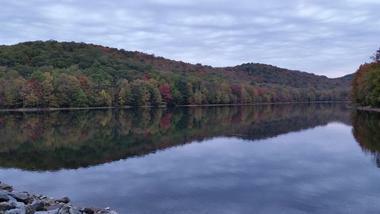 Backpacking is available in the adjacent Cranberry Wilderness Area. 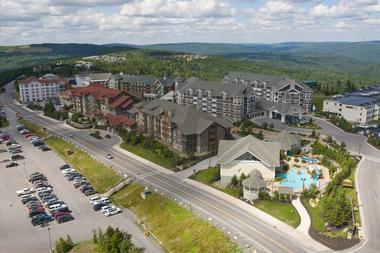 Snowshoe Mountain represents the best of West Virginian winter. Adventure, relaxation, exquisite dining, lodging, and kid and teen activities, they have it all. Thrill-seekers can sign up for adrenaline-fueled mountain tours on snowmobiles or RZRs, among other high action activities. Guests looking to relax can spend a day at the spa experiencing a wide array of treatments, take a calming candle-lit yoga class, and marvel at winter wonderland views on a scenic lift ride. Activity hot spots like Coca Cola Tube Park, inflatable bouncy houses, and Split Rock indoor heated swimming areas are just a few of the resort's family-friendly activities. Ghost Tours of Harpers Ferry are provided by "O' Be JoyFull" Historical Tours & Entertainment, and are based on the stories of the 1977 book, A Ghostly Tour of Harpers Ferry. 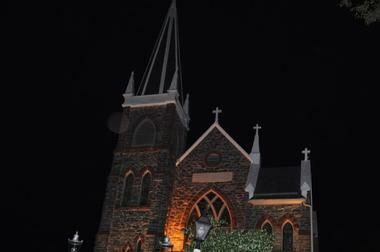 Guests take a 1.5 to 2-hour night tour around eight blocks of the Lower Town area of Harpers Ferry, where numerous buildings and sites are said to have a long history of paranormal activity. Expert guides theatrically narrate the legends and historical facts said to account for the unexplained, ghostly phenomena; this includes several stories from the American Civil War and the accompanying deaths said to still haunt the town. 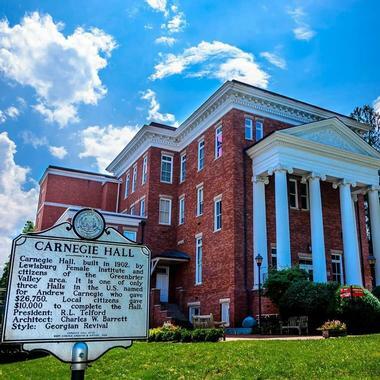 The Carnegie Hall in Lewisburg, West Virginia, was established in 1983 and is only one of four Carnegie Halls in the entire world. Cradled in the Alleghany Mountains, this visual and performing arts center has been graced by the presence of many notable performers, including George Winston, Taj Mahal, and Gillian Welch, to name a few. Philanthropist Andrew Carnegie built the Georgian Revival-style structure in 1902, when it first served as a women's college before becoming host to exceptional artists from around the world. Over 75,000 annual patrons enjoy performances, award-winning classes, workshops, arts in education programs, fine arts exhibitions, and independent film productions here. 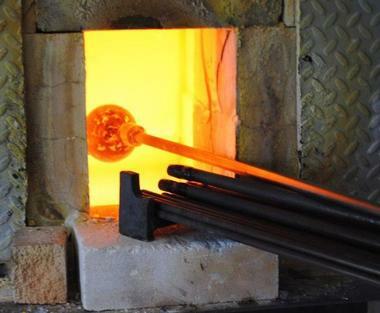 Appalachian Glass is a family-owned and operated glassblowing studio in Weston, West Virginia, run by three generations of Turner men – Matt, Chip, and Todd. Visitors are welcome to come in and freely explore the studio that currently features more than 100 artisan-crafted soda-lime glass products. Guests can also view a live glassblowing demonstration offered by Chip, where they can watch the process from a viewing area while he narrates each step using a microphone inside his head gear. Depending on the day, visitors may get to watch him make the popular 6-inch, multicolored, Appalachian Glass friendship ball or the regionally recognized witch's ball.